WAITINGONFATE has no current links. 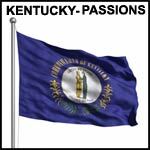 Looking for my fellow blue-blood I really would like to meet someone that is near me, and love Kentucky. I'd like someone to explore the state with, since there are a lot of things I have yet to see.